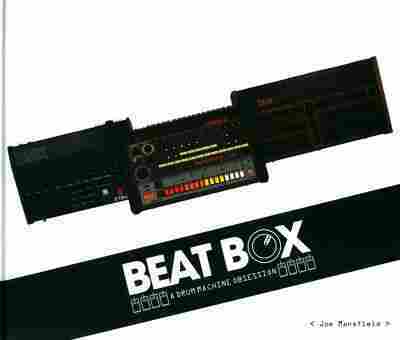 Gimme The Beat (Box): The Journey Of The Drum Machine : The Record What began as little more than a glorified metronome has worked its way into bedroom studios and state-of-the-art recording facilities alike. A new book chronicles the history and influence of the drum machine in all its wood- and plastic-paneled glory. The Oberheim DMX rose to popularity in the mid-1980s, one of the first commercial drum machines that came close to mimicking real drum sounds. About 10 years ago, a disgruntled pianist in Los Angeles named John Wood began a popular bumper sticker campaign with the slogan, "Drum Machines Have No Soul." Not everyone was convinced, including producer Eric Sadler. "Drum machines don't run themselves," Sadler says. "It's the people who put into the drum machines that give the drum machines soul, to me. I've definitely given some drum machines some soul." Sadler was part of The Bomb Squad, the production team behind Public Enemy, which used drum machines — among many other devices — to help shift the sound of pop music in the late '80s. Here's the thing: The earliest drum machines were never intended to be studio recording devices. Take Wurlitzer's 1959 Sideman, one of the first commercially available drum machines. It used vacuum tubes to create its percussive sound and was intended for organ players who perhaps didn't want to pay a drummer to join their lounge act. "It's about 2 feet and some change tall," says Joe Mansfield, author of the new book Beat Box: A Drum Machine Obsession. "It's maybe a foot and a half wide, and it looks like something that would belong in an old, wood-paneled library to me. It's a distinctive-looking thing; at first look, you wouldn't think it would be a drum machine." Drum machines were still largely novelties throughout the '60s and '70s, but musicians slowly began to play around with them, says Dante Carfagna. He's the producer behind the recent compilation album Personal Space, which examines early pop experiments with drum machines and other electronics. "Perhaps the artist didn't have a band, so they tried to re-create that band with the electronics around them: a drum machine, a synthesizer, maybe a guitar," Carfagna says. "I think it might be a function of loneliness in a very strange way." Then, in 1971, Sly & the Family Stone recorded There's a Riot Going On, one of the first hit albums to prominently feature a drum machine — a Maestro Rhythm King. Mansfield grew up marveling at how Stone deployed the machine's tinny beats. "That record used the Maestro Rhythm King in a way, in a studio, that I'm sure it wasn't meant to be used. It was amazing," he says. By the early '80s, major pop acts had latched on to drum machines in a big way — but many just used the machines' built-in rhythms, as in Hall and Oates' 1981 hit "I Can't Go for That." Around the same time, such hip-hop pioneers as Grandmaster Flash began to make beat boxes a prominent part of rap music production. A few years later, newer beat boxes were sampling actual drums, creating a harder, punchier sound that hip-hop producers grabbed onto, says the Bomb Squad's Sadler. 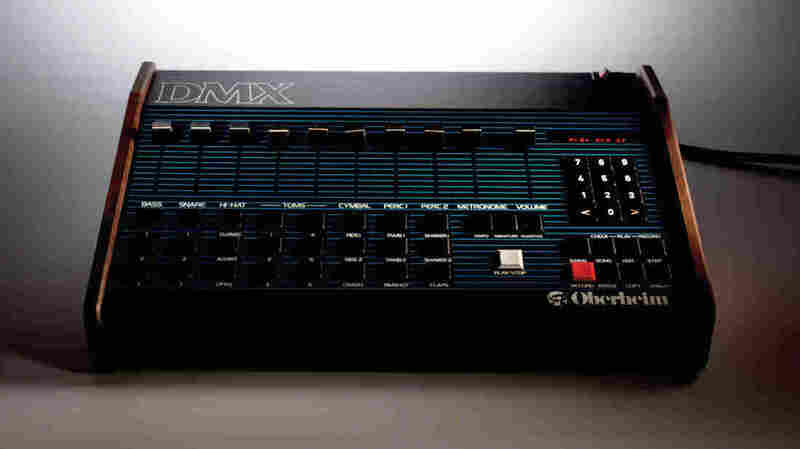 The Oberheim DMX was one of the most popular. "All the rhythm machines before was kind of little tight sounds. It didn't have that sound that sounded like a real kick drum, or a bass drum," Sadler says. "With the DMX, it was like, wow, this sounds more like real drums to me." But when it comes to punch, no drum machine has been more popular than Roland's TR-808, debuted in 1980. For Mansfield and other musicians, the 808 stands out for its signature kick drum, with a low-end boom you can feel in your bones. "It's definitely something that would get people's attention," he says. Today most producers simply re-create the sounds of an 808 using software rather than fussing with hardware that few thought would survive 30 years of use. But Carfagna suggests there's still a market out there for the original machines and their unique sonic personalities. "Those sounds do have a certain character now, which echo a different era. Like, the snare drum on the Rhythm King sounds nothing like the snare drum on the 808," Carfagna says. As for Mansfield, his Beat Box book includes only a fraction of his collection — a collection that keeps growing. "Today, I purchased a machine called Elgam Match-12 I've been looking for for a little bit," he says. "I happened to find it on the German eBay site." And so, the beat box goes on.